Marin Mommies presents a sponsored shout-out for the Chinese language classes for kids at Cascade Canyon School in Fairfax. Classes start September 5, so sign up soon! Nihao! Hello! My name is Kiki and I am very excited to teach Chinese here in Marin County at Cascade Canyon School. I started my Chinese learning center in El Cerrito four years ago, running a Chinese immersion afterschool program and providing private tutoring. I teach standard Mandarin, simplified characters, and pinyin (the standard romanization for Mandarin). My goal is for my students to develop a lifelong passion and interest in learning Chinese and the Chinese culture. To achieve this goal, I structure my classes through interactive and engaging activities, introducing Chinese culture wherever applicable. I keep class sizes small to ensure that each student can receive the best instruction, tailoring the lessons and material to best appeal to each student's learning style and personality. Classes will be held from September 5–December 14, 2018 (12 weeks total). All prices include materials fee. 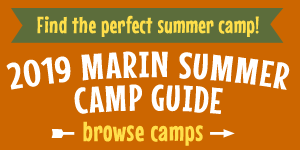 I look forward to learning Chinese with Marin County!